The mist shrouded my surroundings, and the chill sent a tingle down my spine. The water made all the scents around me disappear. I was at a loss of where I was. Cracklings twigs made me gasp and I turned to see four shadowed figures. The one farthest to the left seemed sneaky and sly, as if it had hidden in the shadows all its life. Beside it stood a stocky and sleek cat. Its fur seemed to glimmer with health, and its legs seemed muscled and strong, enough to paddle through even water. The third one was wiry, with lanky legs, as of born to run. "Who are you?" The fourth had spoken first. His tail lifted in the air, and its scent smelled like fresh grass and leaves. I hadn't realized the cat had spoken until the first one grunted as if in irritation. "Is it deaf?" The second one answered. "Calm yourself. Most would be spooked in a situation like this." The fourth spoke again. "Who are you?" I swallowed loudly and answered. "What kind of a name is that?" Asked the first one. The third one replied with a mocking snort, "Have you heard how absurd yours is?" The first one growled back threateningly. "Look-" The second one silenced them both with a hiss. The cat looked back towards me with kind eyes. "You are in the clan's territories. We'll have to ask you to leave or..." I felt an imposing feeling grow in the pit of my stomach. "O-Or what?" The cat smiled as if amused. "Or you may join one of ours." This seemed to make each of them straighten and puff out their chests to seem larger. The sleek furred cat continued to speak. "We are the four." The cat gestured towards the left one first. "There is Shadowclan," then it turned to the right to nod to the lanky cat. 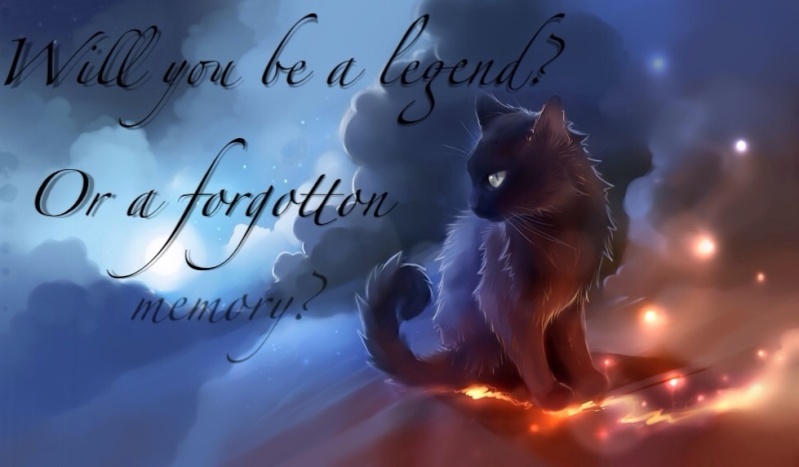 "Windclan, Thunderclan," it flicked its tail towards the bulky cat at the end. "And Riverclan." It gestured a paw to its chest. "So? Which one?" The first one asked in impatience, almost spitting out the words. "I'm wasting my time here." The tip of the Shadowclan cat's tail curled in the moonlight. "Silence yourself." The fourth one said, almost snapping back. The Riverclan cat spoke again. "No need to be shy, but keep in mind. Being here can kill you." I stifled a little speak of alarm and cleared my throat. "I choose..."
Into the Wild is a Warrior Cats role-play site. It takes place after Firestar's arrival to the forest. Bloodclan has been destroyed but an echo of it still exists, and plenty of other new enemies lay ahead. SkyClan has been rebuilt, and the four clans still reside in the forest territories. 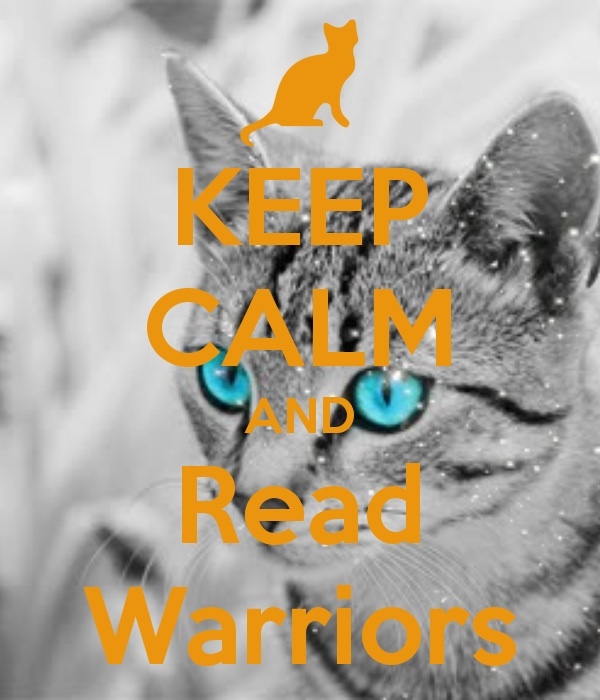 You may play as a cat from the four original clans, but SkyClan, Bloodclan, Tribe, and loners are available too. Starclan, the Dark Forest, and the Tribe of Endless Hunting also reside here, so you may play as a dead cat if it suits your taste. You start out with three free character slots, but if you decide to have more characters, you will have to buy them at our Crystal Cave. You can buy as many character slots as you'd like. We are very new, and many high positions are still available. It'd be nice to have you!